So, you don’t have a car, a kayak, or a stand-up paddle board. No worries—you can still experience some of Northern California’s best paddling with the help of the Capitol Corridor, the 170-mile train route that links San Jose to Sacramento/Auburn. The Capitol Corridor has plenty of scenic spots along the way where you can get out on the water and rent gear. In addition to the paddling areas right near Capitol Corridor train stations, you can also take advantage of Capitol Corridor’s dedicated bus connections or use other transit options to complete your travel to world-class paddling destinations. Here are four Northern California paddling destinations that are accessible on the Capitol Corridor by public transit — and that provide rentals for all the gear you’ll need. 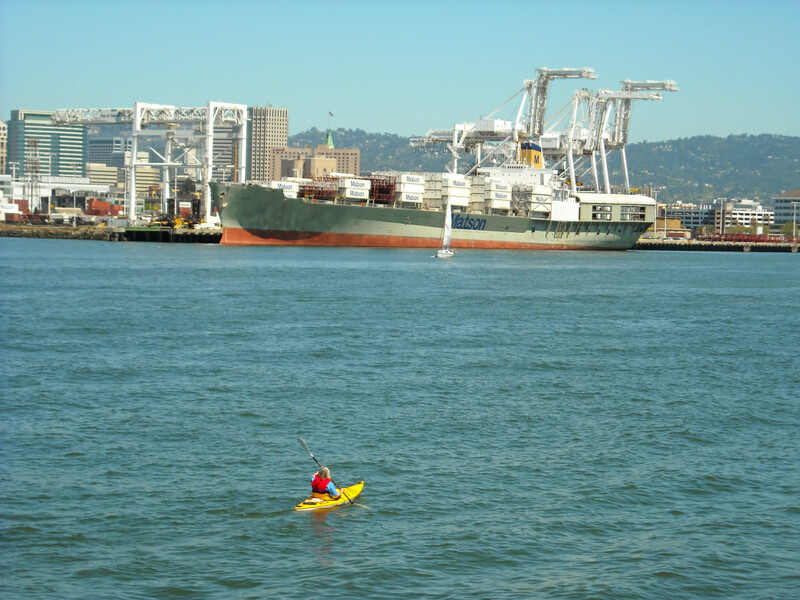 Despite the busy marine traffic, the Oakland Estuary is one of the best urban paddling spots in the San Francisco Bay. You can explore a graveyard of sunken ships, and may even run into some seals, leopard sharks, and bat rays as you paddle along. Dock for lunch overlooking the marina at Quinn’s Lighthouse Restaurant & Pub, or circle Coast Guard Island. Just three blocks from the Oakland Jack London Square Station is California Canoe and Kayak, where rentals of stand-up paddle boards and single and double kayaks range from $25 to $50. 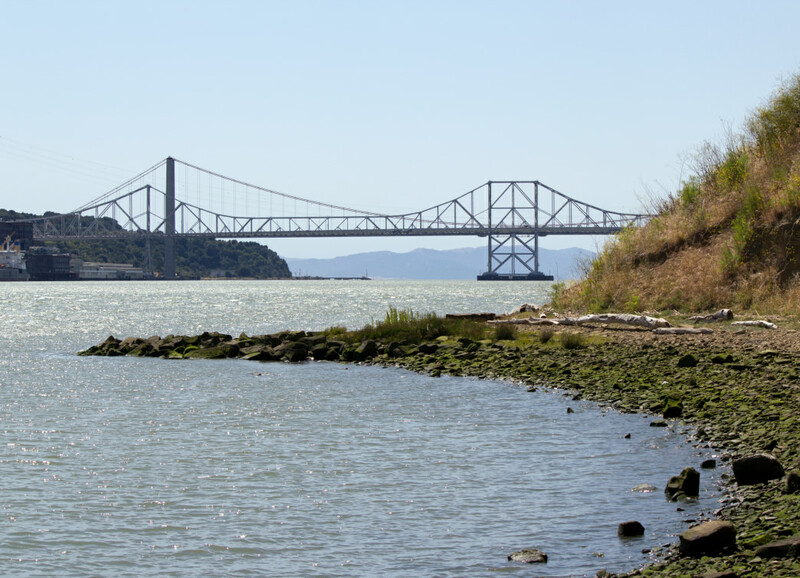 About 30 miles northeast of San Francisco is the Carquinez Strait, the confluence of the Sacramento and San Joaquin rivers, which cuts through protected wetlands and coastal bluffs. The currents and tides can be difficult to navigate for newbies, so it’s recommended to take a guided kayak tour from Westwind Adventures. Introductory three-hour tours cost $55 per paddler, including rentals, and you can leave from the Martinez Marina (a 10-minute walk from the Martinez Station). After a quick lesson in the marina, you can head a little farther out to glide past reeds and cattails and likely see snowy egrets, sandpipers, and long-legged stilts. Head to Shipwreck Beach and see the skeletal remains of The Forester, a four-masted sailboat, before you take a long arc back to the marina. Extended trips to the Benicia coastline will take you around islands with pelicans, or farther down to the Martinez coastline. Tours use double kayaks, with a maximum of five people per tour. 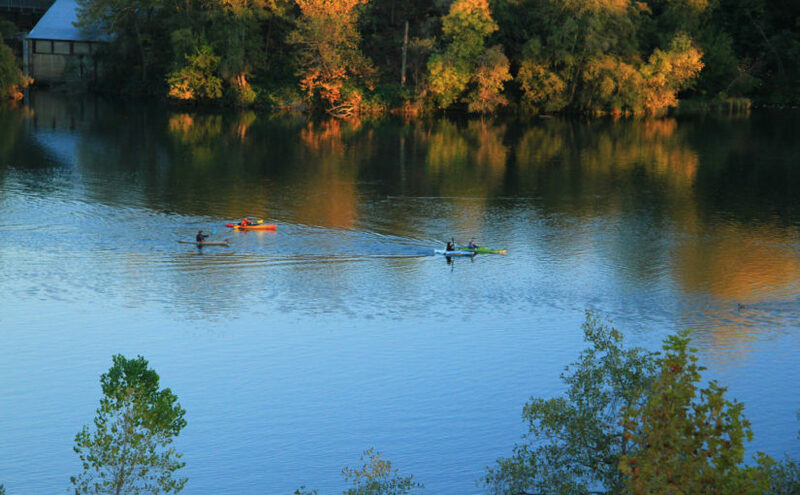 Late summer and fall are the best times to see Lake Natoma, a paddlers’ haven off the American River. The crowds have thinned, the air has cooled, and it seems like even the sunsets have improved. From the Capitol Corridor Sacramento Station, you’ll have to connect to the Sacramento Regional Transit’s Light Rail Gold Line heading eastbound to Hazel Station. The ride is just under an hour, but it’s worth it. 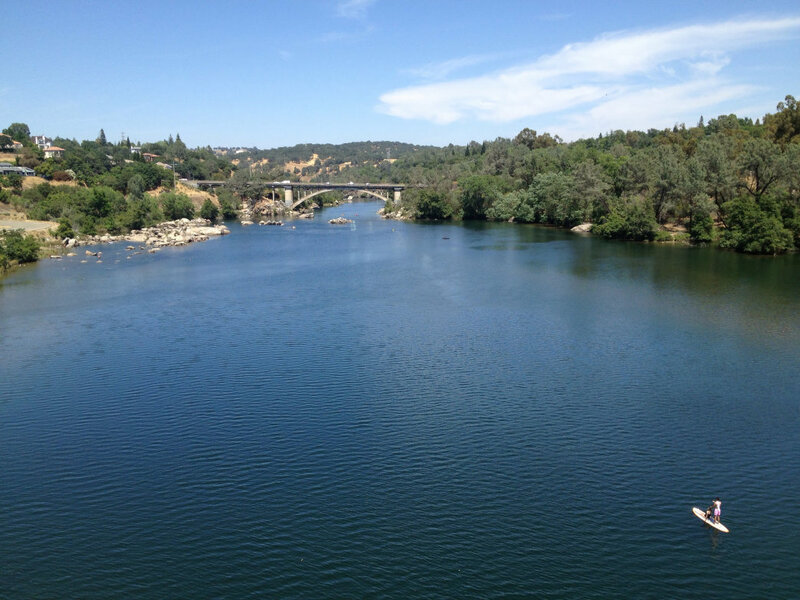 Most of the American River near Sacramento is congested with motor boat traffic, but Lake Natoma’s five mile-per-hour speed limit makes it a perfect sanctuary for kayakers and stand-up paddleboarders. From the water, you can see wildflowers, turtles, huge trout, herons, deer, wild turkey, and even an occasional bald eagle. Kayak and stand-up paddle board rentals are available at California Canoe and Kayak’s Lake Natoma location for $15 to $25 on Fridays and weekends. Local shop, Current Adventures, offers a series of calm water kayak classes, including one for ages 50 and up, and a full moon tour. Cost ranges from $50 to $80 per person, and includes equipment. This may be the best option for those new to the area. Guides will also show you the coastal areas accessible only by kayak. Lake Tahoe is the most visited lake in the Sierra Nevada for a reason. First, it’s the sixth-largest lake by volume in the U.S., behind the Great Lakes, so paddling there will make you feel like you’re on a calm, clear ocean. Second, it’s surrounded by majestic, forested mountains, making every view on the lake postcard perfect. 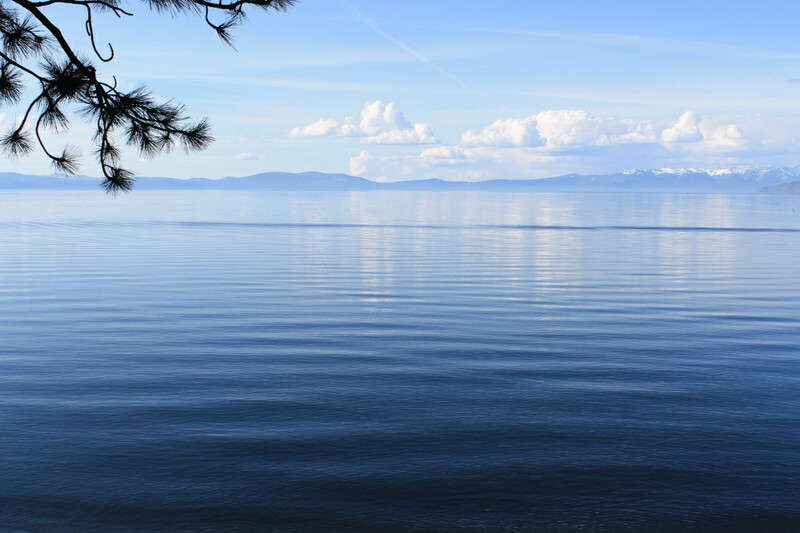 The Capitol Corridor service to South Lake Tahoe involves the train to Sacramento, followed by a dedicated motorcoach that takes you to South Lake Tahoe’s South Y Transit Center, which is conveniently located near many of the area’s hotels. Similar train/bus service is available to Truckee on Lake Tahoe’s north side as well. The southern part of the lake has particularly interesting wildlife. Each fall, kokanee salmon transform from silver to fiery vermillion, as they swim from the lake into Taylor Creek. The annual event attracts bears, bald eagles, mink, and other hungry animals to the area and makes for some exciting viewing. Throughout the year, Taylor Creek is a popular destination for conservation and environmental education programs. Kayak and stand-up paddle board rentals are available at Kayak Tahoe’s Timber Cove Marina location and South Tahoe SUP, both within walking distance of the Transit Center. Rentals are seasonal, and it’s best to call ahead since reservations are required later in the season. From the rental spots, there are plenty of interesting and easily-accessible paddling destinations: Vikingsholm at Emerald Bay, an abandoned castle in arguably the lake’s prettiest corner; Baldwin Beach, a dog-friendly stretch next to Taylor Creek; and Pope Beach by Camp Richardson, where you can admire multi-million dollar homes. South Tahoe SUP offers $85 stand-up paddle board tours all hours of the day, including sunset. Their “epic tour,” for $250 per person, is a one-way, 4-7- hour paddle from Baldwin Beach to D.L. Bliss State Park via Emerald Bay. Paddlers are shuttled back to the start point. Originally written by RootsRated for the Capitol Corridor.